Here's a Throw Back Thursday photo. I shot this photo 12 years ago in 2005. It's of one of the buildings still standing in my old home town. Harry Shaws Drug store was a few steps further down the street. The entryway door had a small bell on a hook that jingled when customers walked in. The high ceilings were dark. Years of using a coal-fired stove for heat and cigarette smoke made the wooden walls look as old as time. At one time, there was a soft drink maker in the old town. Dora Colas were made there but that was before I was born. I never tasted one, but I saw one of the bottles. The glass was opaque. When you held the bottle to the light, you could see tiny air bubbles in the glass. Most of the town burned to the ground in 1957, but that was when the mines were in full swing and the railroad rumble through the town. When the 78 Highway connecting Memphis and Birmingham was completed in the late 50 businesses started moving toward the highway. The old town slowly died. It's a ghost town now that lives only in pictures and in the memories of those who once loved that old town. Parts of my town is like yours...boarded up windows and doors on buildings that used to be filled with customers. Reminds me of those ghost towns out west when the gold rush lured so many folks there. People go where the jobs are. Sadly there aren't half as many here as there used to be. i really don't know which is worse. A booming small town or a ghost town. Explaining... Our little mill town was dying. half the downtown stores boarded up. Police department down to three cars. 22 of the 26 mills closed. THEN we hired a City manager. YOU NEED liquor by the drink and draft beer. The city had been dry for ever. But now the streets are booming again. We now have at least 8 bars/restaurants and two breweries. Ten police cars, new police station and plenty of traffic. Not one empty store in town, all remodeled for antiques or drinks. But it is no longer headed for the ghost town venue YET! But across the interstate in North Bel town, things are still dying. Ghost towns still live in the hearts of the folks born and raised there. The drugstore in the town I consider home is still there and operating under the same name. It is one of the few things left from the past. My town was turning into a ghost town. They have been trying now for years to bring it back to life. It's slowly getting there but nothing stays. I blame it on the city restrictions. They need to lighten up and let the town thrive. Also, there is a homeless shelter in the center of our uptown so that brings a lot of rift raft to the streets. Sad. I love this. I suspect there's a little part of all of us that longs for the way things used to feel. 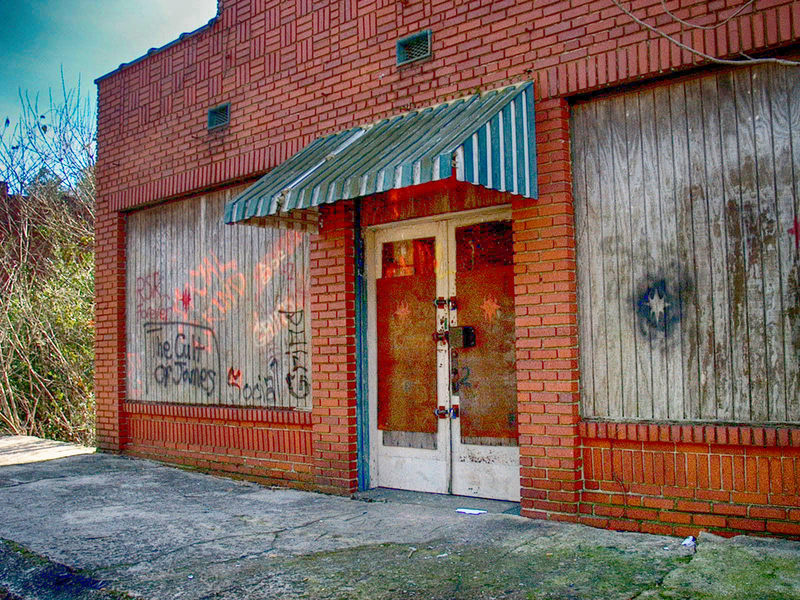 I miss the old downtown areas and the small towns that are vanishing because of progress...I love places like this. It's sad when a community dies, but I guess nothing lasts forever. I do wish we had old abandoned buildings nearby that I could turn into an art studio. Sad, but a fact of life!! I still miss the old stores in the town where we lived until I was eight years old, especially the drug store where my sister and I would pay a dime to share a cherry coke. It must have been a good way for my mother to get rid of us for a while on summer afternoons.